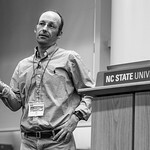 On July 1, 2013, NC State launched its College of Sciences, connecting people and programs in the biological, physical, chemical, mathematical, statistical and earth system sciences. Five years later, we’re continuing to find new and exciting ways to bring together extraordinary scientists to think and do. Read on to relive some of the memorable moments from our first five years. 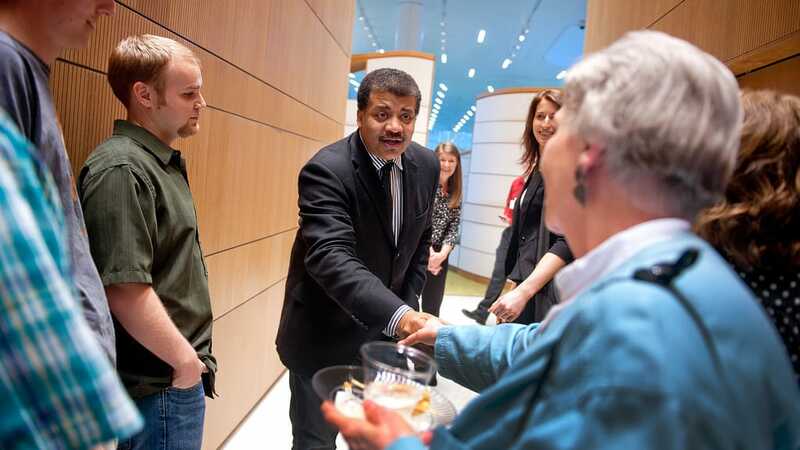 Science superstar Neil deGrasse Tyson capped off a day of activities around campus by delivering the college’s inaugural State of the Sciences talk on April 3, 2014. 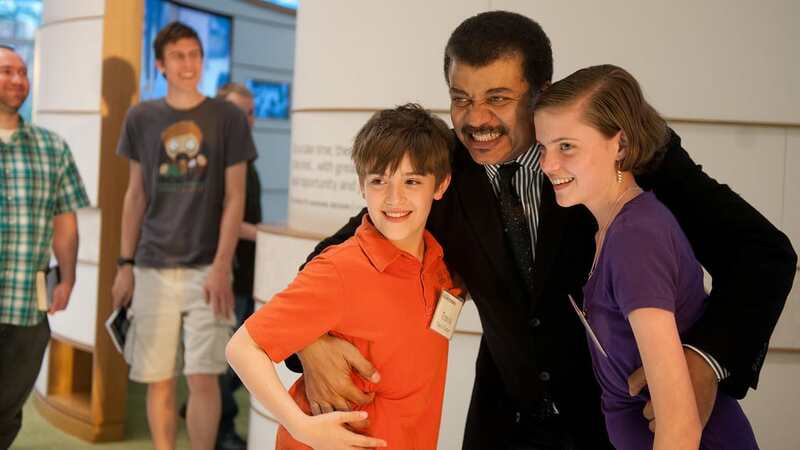 Tyson — an astrophysicist, author, TV host and director of the Hayden Planetarium in New York City — blended his deep scientific knowledge with wit and humor as he spoke to the capacity crowd about the importance of science literacy. In November 2013, NC State and N.C. Museum of Natural Sciences paleontologist Lindsay Zanno introduced the world to Siats meekerorum, a new species of carnivorous dinosaur and one of the three largest ever discovered in North America. Zanno’s team had discovered the partial skeleton in Utah’s Cedar Mountain Formation. NC State is producing stellar research — and the world is noticing. In 2016, Nature ranked NC State as number 3 in North America — and number 31 in the world — on its list of research “rising stars” that are increasing contributions to top journals. Sciences faculty played a big part in this ranking, publishing numerous articles in prestigious journals tracked by the index. 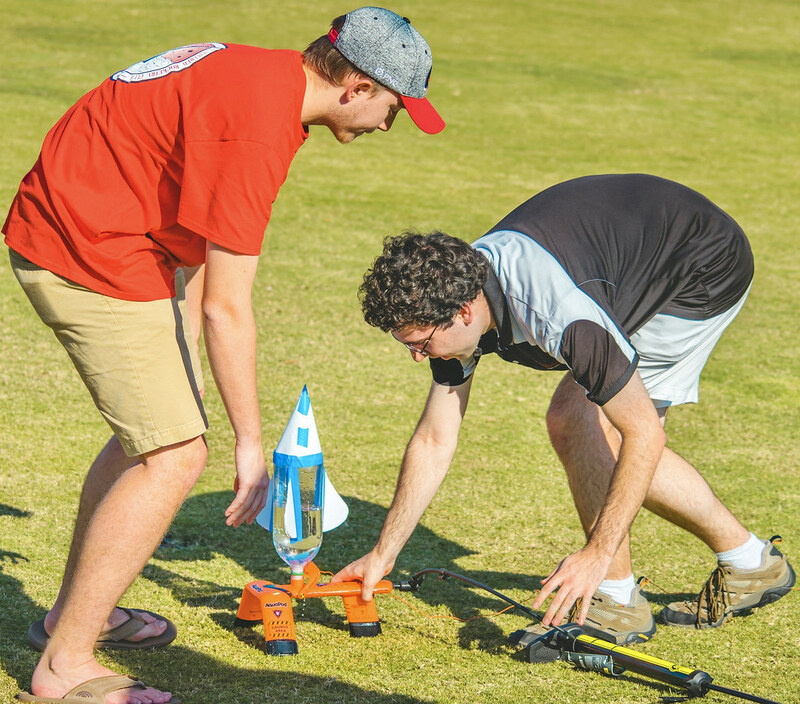 Sciences students have landed scores of prestigious awards over the past five years. 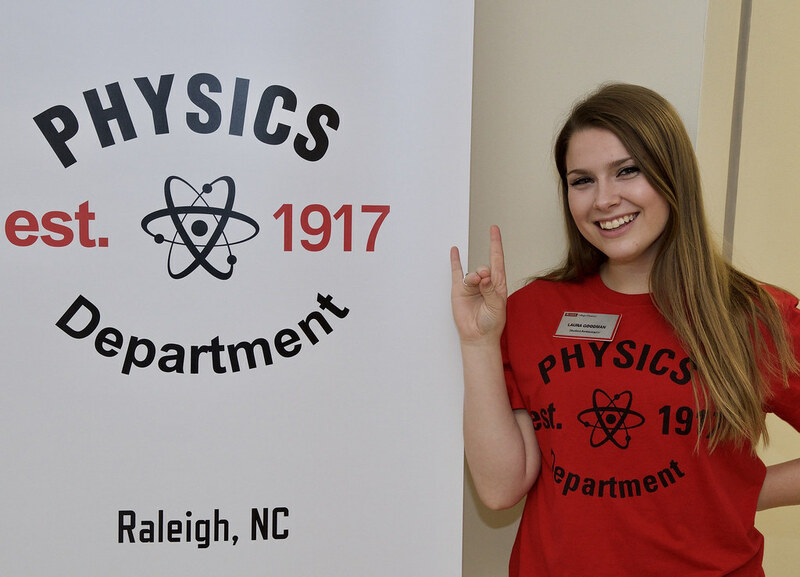 Among the most impressive: in 2016, physics and mathematics major Mia de los Reyes became the first NC State student to win a Churchill Scholarship. 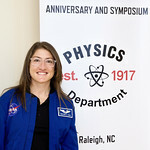 Reyes used the scholarship to pursue one-year master’s degree in astronomy from the University of Cambridge. As a result of a generous gift from longtime NC State supporters Jim and Ann Goodnight, the college awarded Goodnight Innovation Distinguished Chairs and Goodnight Innovation Distinguished Professorships to several prominent faculty. These and other endowed positions support the research and teaching activities of exceptional faculty throughout the college. NC State physics and engineering alumna Christina Hammock Koch was one of only eight people selected among thousands of applicants to join NASA’s 21st astronaut training class in 2013. 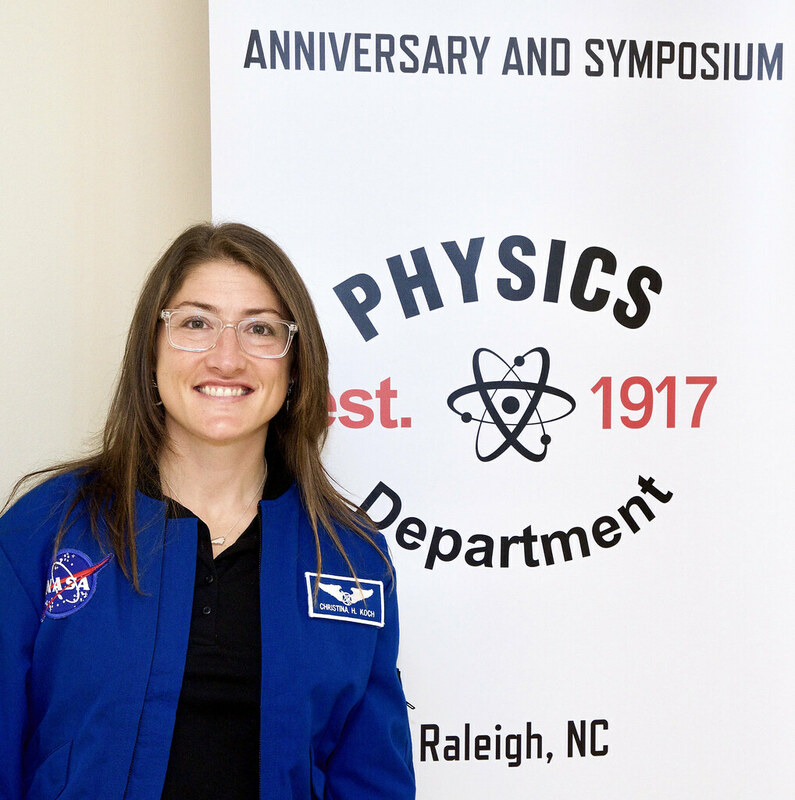 Koch, who completed her training in 2015, will serve as a flight engineer on a mission set to launch to the International Space Station in April 2019. Summer 2016 signaled the end of an era with the demolition of beloved and bewildering campus landmark Harrelson Hall. The cylindrical building, home to the Department of Mathematics for decades, was brought down piece by piece over the course of the summer, making way for a new landscaped green space that offers no circular ramps for skateboarders but is much harder to get lost in. Alumnus’ Maps Answer Age-Old Question: Y’all or Youse? Statistics graduate student Josh Katz made a big splash at The New York Times in 2013 – as an intern. Katz layered data from a dialect survey so that audience responses ultimately pointed to places on the United States map where people pronounce particular words in the same way. The result was a viral sensation that quickly became the news organization’s most shared and visited piece of content published that year. 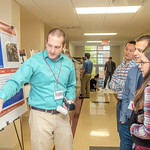 With the launch of the college came a new Department of Biological Sciences, which brought together programs across the university that were focused on biological sciences disciplines. 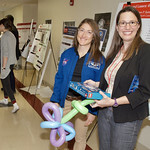 The university launched the Life Sciences First Year program soon afterward to help life science students find the right major. 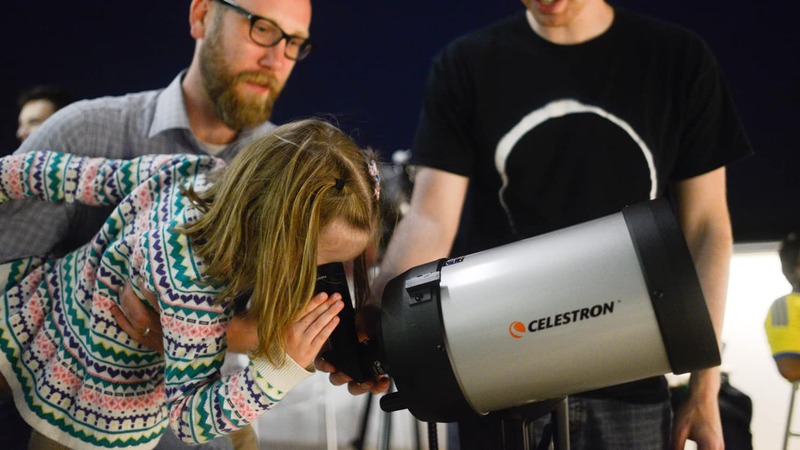 State of the Sciences, the college’s premier science outreach event, got a whole new look in 2015 when our scientists took over the North Carolina Museum of Natural Sciences for a night of great food, fun talks and fascinating science. 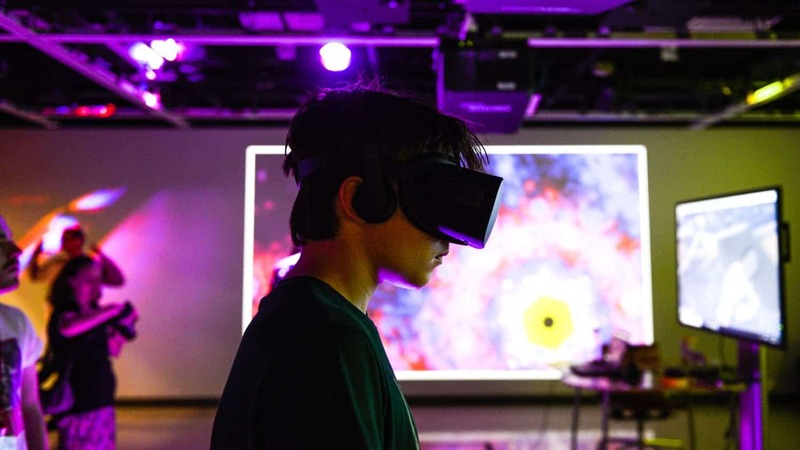 We built on that model the next two years at the Hunt Library, harnessing the library’s incredible technology and wide open spaces to bring our science to life. When Department of Marine, Earth, and Atmospheric Sciences students and faculty set off with other researchers on an expedition off the North Carolina coast in July 2015, they had no idea that they would find a shipwreck dating back to the American Revolution. The team discovered the wreck while searching for a mooring they had deployed in the area in 2012. Alumni and friends of the Department of Statistics gathered on campus in October 2016 to celebrate the 75th anniversary of the department’s founding by legendary statistician Gertrude Cox. 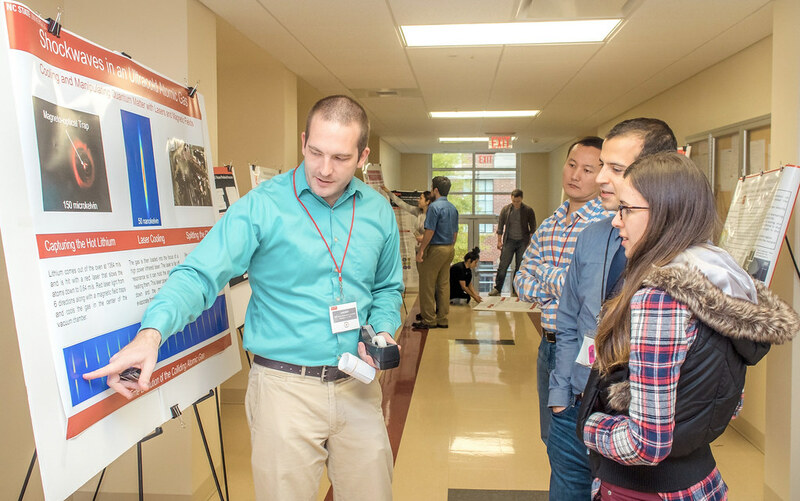 The conference featured keynote speeches from Jim Goodnight and John Sall of SAS, alumni panels, poster sessions and a banquet for attendees and their families. A groundbreaking teaching model got a new NC State home in 2016 when two new SCALE-UP classrooms opened in Cox Hall. 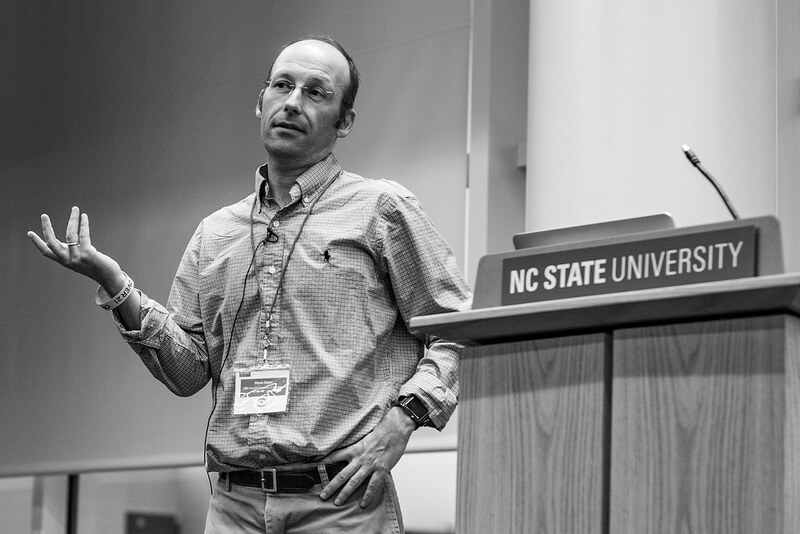 NC State physicist Bob Beichner created the SCALE-UP teaching model — in which students work out problems on laptops and whiteboards and answer real-time quiz questions — to help students learn through activities. Research shows that such a model boosts student engagement. 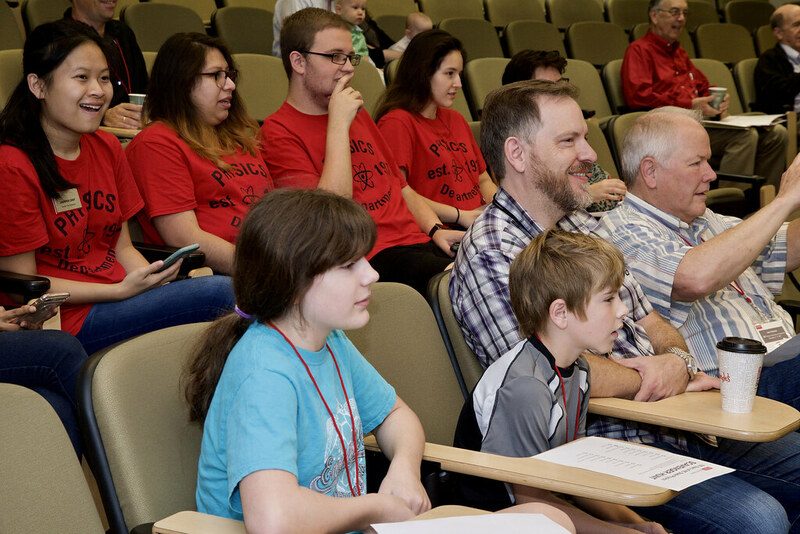 In April 2017, NC State announced that it will host the 2020 Science Olympiad National Tournament. 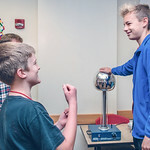 This premier STEM competition will bring more than 2,000 of the country’s brightest middle and high school science students, along with families, spectators and past participants, to Raleigh. 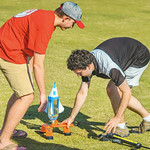 North Carolina has the second-largest Science Olympiad program in the country, coordinated by the Science House at NC State. 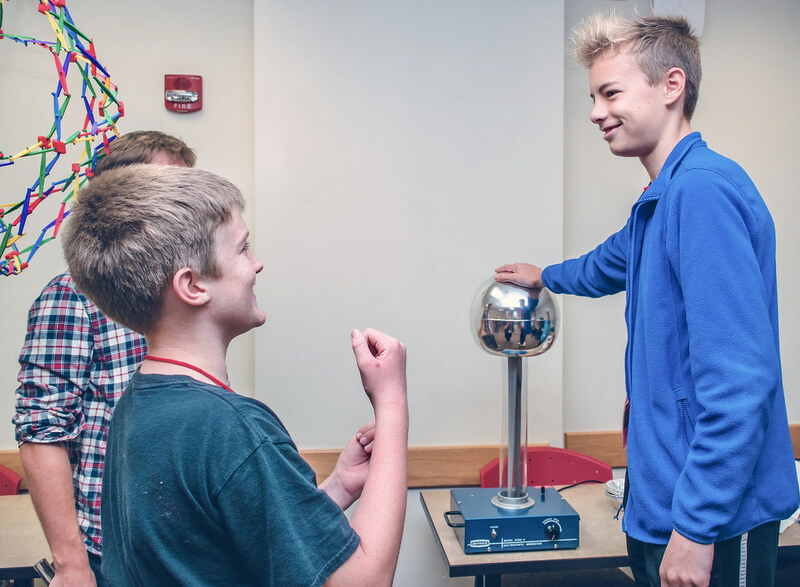 In November 2017, NC State’s Department of Physics marked 100 years of award-winning research and teaching that has shaped generations of students. 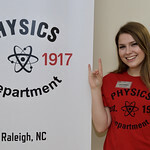 The department hosted a fun, family-friendly weekend of talks, tours and demos that brought faculty, current students and alumni together on campus to celebrate the rich history of NC State physics. In October 2016, the university launched its most ambitious fundraising campaign to date — the $1.6 billion Think and Do the Extraordinary campaign. Sciences donors have played a big part in moving the university toward its goal. Highlights include a $4.5 million bequest to benefit applied mathematics students and faculty. The college is leading the way in new instrumentation that will help the entire university. The new METRIC center, which opened in 2018, offers state-of-the-art mass spectrometry, magnetic resonance and X-ray crystallography that’s available to all departments and faculty. 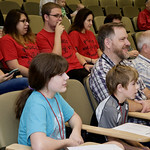 The director is David Muddiman, the Jacob and Betty Belin Distinguished Professor of Chemistry.